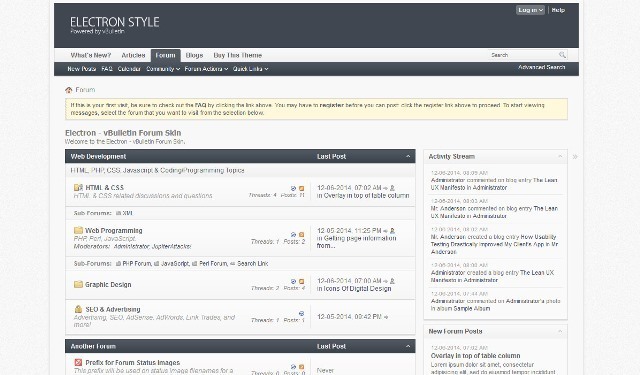 Best Collections of Premium vBulletin Themes Forum Skins. It’s a clean and simple style that fully supports the latest vBulletin community software. Quarto for vBulletin 5 is fully responsive and retina-ready. It will look great on any desktop, laptop, tablet or smartphone. 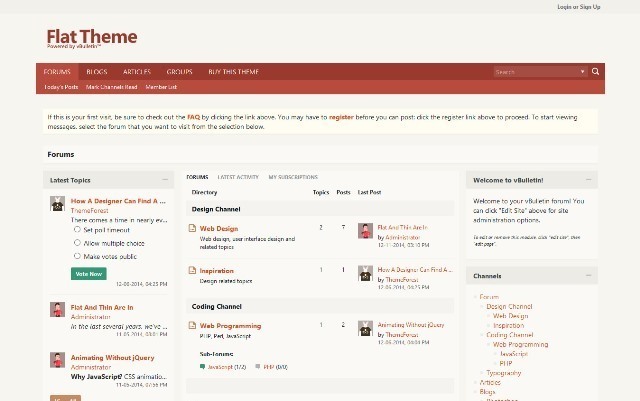 Quarto theme will help you to build a popular community. 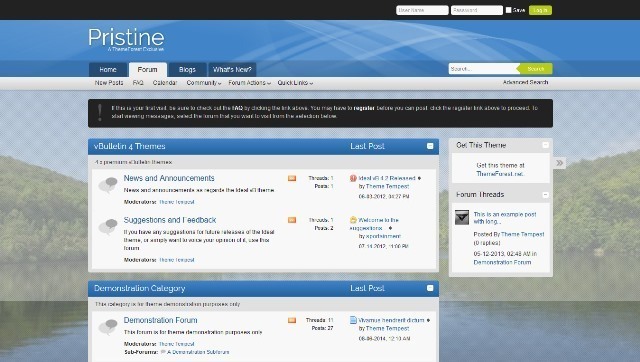 The Flat Theme is a style for vBulletin 5 Connect, the world’s leading community software. Modern looking flat web design and responsive layout. Supported version: vBulletin 5.1.5 and 5.1.6. It comes with Flat Design, Retina Ready, Responsive Layout, Google Fonts, Cross Browser Support, 8 Color Schemes, Custom Icons, Documentation and Support, Easy Installation and more. 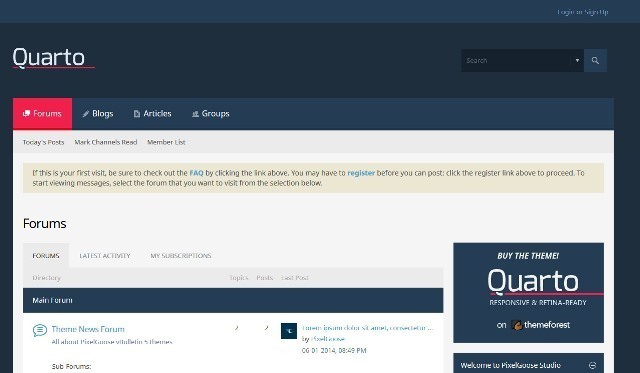 Metro is a vBulletin 4.2.2 style that fully supports forums, blogs and vB CMS. Metro theme is a clean, contrast and modern vBulletin style. Both fixed and fluid versions are available. It comes with Fixed and fluid layout, 10 color schemes, 4 editable blocks in footer, Google web fonts, Cross browser support, RTL forums support, Cross browser support, Layered PSD files included, Full documentation and support, Includes both vBulletin 4.2.0 and 4.2.1 versions and more. Metro Mobile is a mobile vBulletin 4.2.2 style that fully supports forums, blogs and vB CMS. 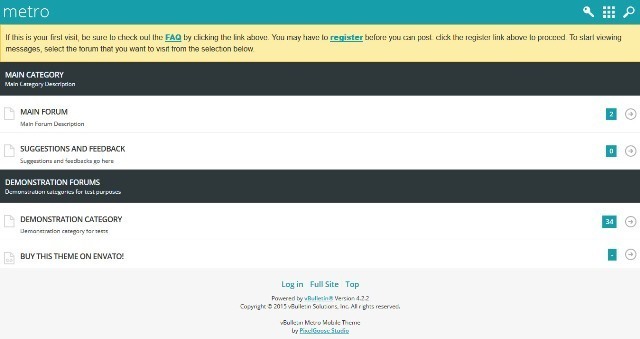 Metro Mobile theme is a clean, contrast and modern vBulletin style to display you forum on a mobile device. It comes with 10 color schemes, Google web fonts, Completely remade icons, Layered PSD files included, Cross browser support, Easy installation, Full documentation and support. 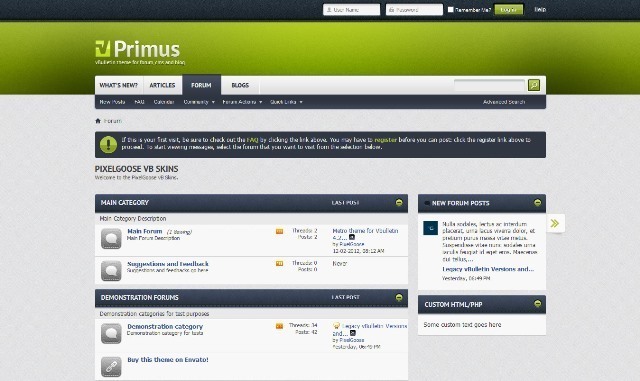 Primus is a vBulletin 4.2.2 theme that fully supports forums, blogs and vB CMS. It has colorful and attractive modern view with some skeuomorphic elements. The theme can be easily customized for you purposes. It comes with Five color schemes, Fixed and fluid layout, Google web fonts, Layered PSD files included, Cross browser support, Easy installation, Full documentation and support. 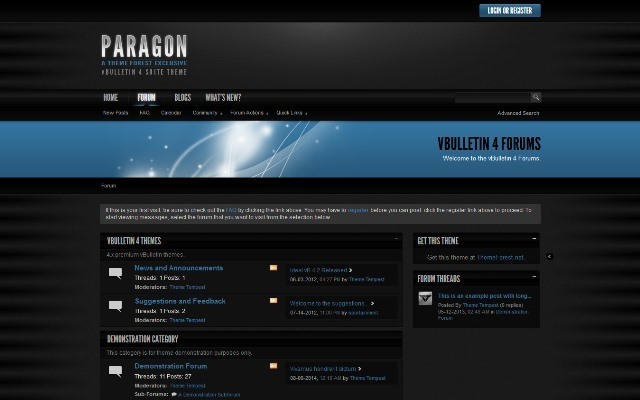 Paragon is a premium theme for the full vBulletin 4.x suite: the CMS and blog in addition to the forum. It was designed to serve those vBulletin users who want a more modern hi-tech look for their vBulletin-based site. 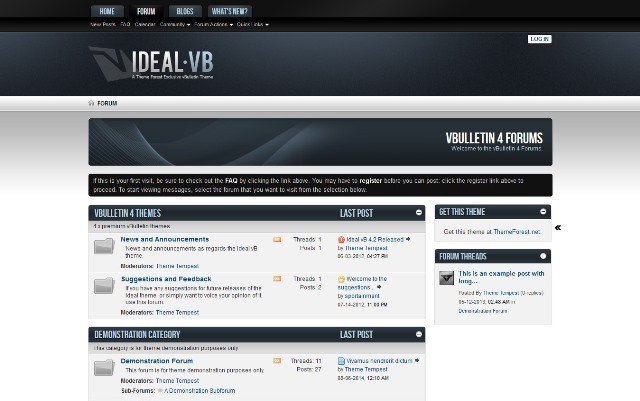 Ideal is a premium theme for the full vBulletin 4.x suite: the CMS and blog in addition to the forum. It was designed to serve those vBulletin users who want a more clean, modern look for their vBulletin-based site. 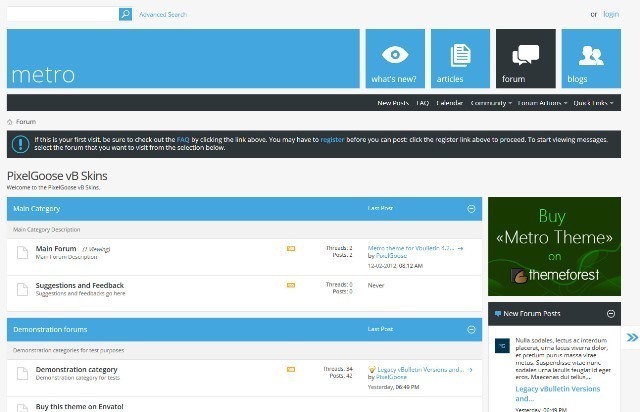 It comes with Full vBulletin Suite customization (CMS, blog, and forum. ), Ten color schemes, Valid XHMTL, Detailed documentation and more.